Jazzmusic claims the Easter weekend. – . 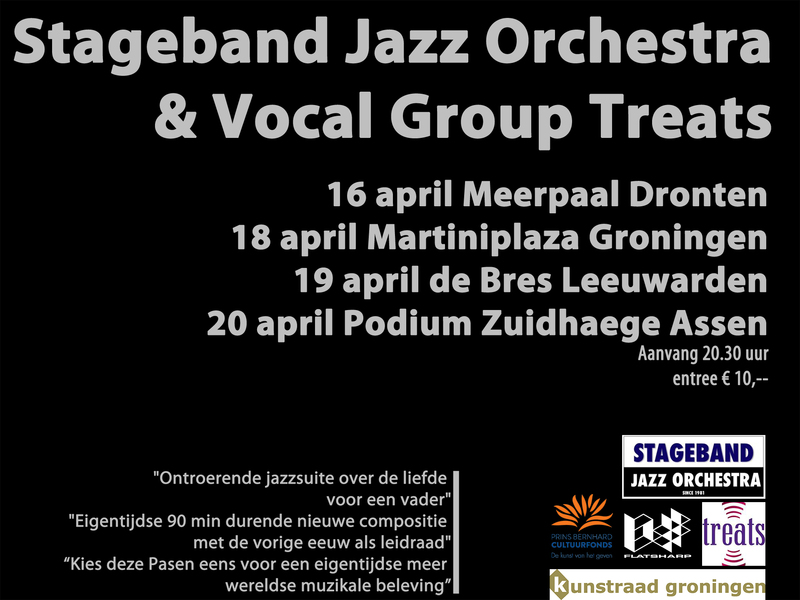 ….. .
More than 200 northern jazz lovers found their way to the theater last Easter weekend. And that is a great achievement from the Hållsta Suite, Stageband Jazz Orchestra and Treats. We offered a wonderful alternative to the classical passions, which are so widely visited around the Easter. And we would like to continue with that. What was very important was that people were so enthusiastic and surprised by the quality of what was offered. And that was very right in our view. This was not just a concert, these are jazz musicians from national alure, who do not accept that jazz music can only be listened to with alcohol and chatter. In addition to many other forms of theater, jazz music deserves a place in the theater, or in any case on stages where people really listen to the music. Not because we think it is so important that people are quiet and listen to us, but because jazz music also needs silence to experience the ultimate. We will continue next year, with the same concept during the Easter days. Put it in your calendar, and take people with you. We can not do without an audience, the magic of experience is together. And the musicians of Stageband Jazz Orchestra deserve it.